The laddoos given as Prasadam at the Tirupathi temple taste very yummy. These laddoos are famous all over the world only because none of the external shops has been able to replicate this taste so far. The management has also undertaken geographical indication technique for the laddoo preparation to retain the taste. The other prasadams given here are pulihora, daddojanam, vada, chakkera pongal, miryala pongal, Appam, Payasam, Jilebi, Murukku Dosa and seera. Annadanam (free meals) is provided daily to the devotees. Every Thursday, during the Thirupavadai Seva, food items are served to the Lord as Naivedyam. Hair Tonsure is an important activity in the Balaji Temple. Tons of hair is collected daily in the temple. Every year an auction is held and the collected hair is sold off. The buyers are usually international hair designers, who use this in their cosmetic profession. The temple authorities are responsible for conducting this auction and it is estimated that the temple earns around 6 million USD, every year in this way. There is a story behind this process The Lord’ head was once a little bald because he was hit by a shepherd. Noticing this, Neela Devi, a Gandharva Princess, sacrificed some of her hair for the Lord and made His scalp look normal again. Impressed by the unselfish gesture of the princess, the Lord assured her that, that hair that is given to Him by the devotees will be given to her. Even today, it is believed that when a tonsure happens here, the hair ultimately reaches the princess. This is a temple that is situated atop 7 hills. One of the hills is named Neeladri as a mark of respect for this princess. Legend has it that the Lord Venkateshwara or Balaji had asked the Lord of Wealth, Kubera a loan of a crore and 14 lakh gold coins. This loan was for doing the wedding arrangements of the Lord with Padmavati Goddess. Viswakarma, the architect of the Gods, was chosen to arrange the area around Seshadhri Hills for the wedding. 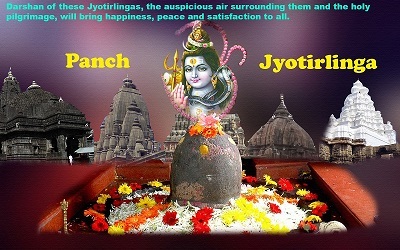 This place is where the God and Goddess live in prosperity. Goddess Lakshmi, on the other hand, who was the Lord’s wife, in an earlier avatar, remains in the Lord’s heart at this place. Therefore, devotees who throng in huge numbers to this temple, donate crores and crores of money and gold to help the Lord repay His Loan. 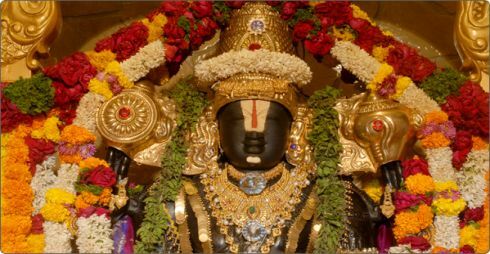 The Balaji temple at Tirupathi is the richest temple in the world, because, the average daily collections at the temple are at a whopping Rs.22.5 million and the average annual gold collection is at a staggering 3000kg. This is a process where devotees sit on side of a weighing scale and keep offerings equivalent to their weight on the other side, as a note of thanks for fulfilling their prayers. The offerings are mostly sugar, bananas, jiggery, tulsi leaves, gold, coins, coconuts etc. This is a process that is mostly conducted with the small kids. These are paid services for which the devotees must book earlier appointments. Upon getting a confirmed time slot, the devotees can enjoy by participating in special pujas and sevas done for the main deity, Lord Srinivasa and many other adjoining Gods like the Bhoga Srinivasa, Sri Malayappa etc. In addition to getting to witness and enjoy the special darshan and pujas, the devotees get special Prasadam too, which comprises of vastram (meaning clothes), akshantalu (meaning sacred rice), the world-famous Laddoo and other eatables like vada, dosa, pongal and variety of rice items. Devotees also get a chance to view the Utsava Murthy. On arrival at Chennai, meet and transfer to Tirupathi. Check in hotel. Overnight stay at Tirupathi. Morning proceed for Balaji Darshan and back to hotel. Evening visit the Kalahasti and Trichanoor Temple, Overnight stay at Tirupathi. Breakfast, check out hotel and drive to Chennai Airport/Railway station. · The Tirupati Thirumala Devasthanam must be used for booking accommodations and darshan tickets well in advance. · Before entering the place of main worship, you must take a pradakshanam of the temple, having the main deity on their right hand side. · All rules and regulations of the temple should be adhered to and you should patiently wait for your darshan time.